This loop around the center of Reykjavik hits many of the most popular tourist destinations in the city, starting at Tjörnin, the pond at the heart of the city. The Fríkirkjuvegur Bus Stop, on the east side of the park, is a good place to begin. Head to the southeast corner of the park, where the paths spill into the Soleyjargata/Njaroargata intersection. Bear LEFT onto Njaroargata and follow it uphill to Hallgrímskirkja, the largest church in Iceland. At the parish, turn LEFT briefly onto Eiriksgata and turn LEFT again onto Skólavörustígur, a popular shopping area lined with all sorts of stores and kiosks. Skólavörustígur ends on Laugavegur, where you will turn LEFT and then RIGHT onto Ingolfsstraeti to arrive at Arnarholl Park. 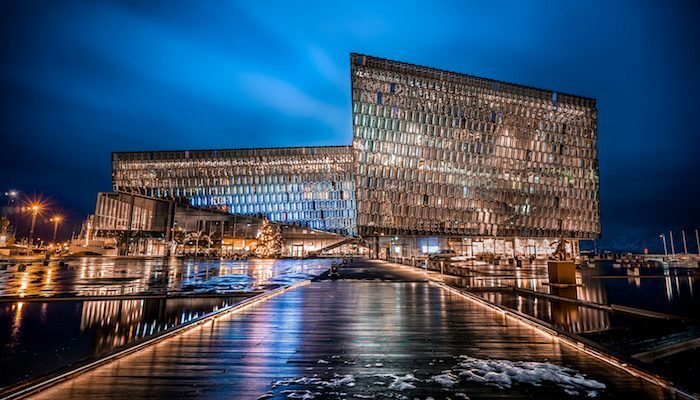 Cut northwest through the park to see the statue of Norwegian settler Ingólfur Arnarson and cross Highway 41 to the Harpa, a colorful glass plated concert hall. From the Harpa, turn LEFT onto the Sculpture and Shore Walk. Where the concrete path connects with Suourbugt, take a sharp LEFT, and head south past the Volcano House, the Photography Museum, and the Art Museum. Turn RIGHT on Grofin to connect to Vesturgata, then follow it west to Aegisgata and turn LEFT. This will take you past the Cathedral of Christ the King. Follow Tungata east to the archeological remains of the Settlement Exhibition, past the south end of Park Austurvoller, to the Parliament House and Dómkirkjan. Then, head south along the pond to return to your starting point.